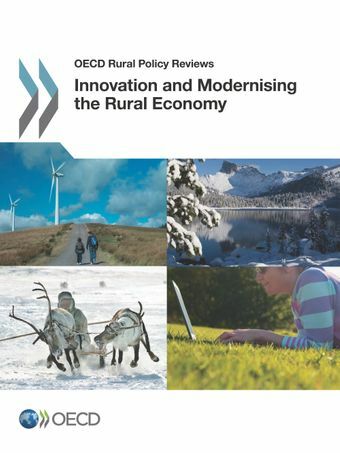 This publication is a result of the discussions from the OECD 8th Rural Development Policy Conference: "Innovation and modernising the rural economy" which took place in Krasnoyarsk, Russia on 3-5 October 2012. It provides an overview of the two themes of modernisation and innovation, focusing on identifying the attributes of the modern rural economy and showing how it differs from the traditional rural economy and from metropolitan economies. It also shows how rural innovation is a key driver of rural economic growth using patents as a measure.The second part of the book consists of four chapters that offer evidence of rural regions’ potential to contribute to national economic growth. In addition, each provides useful context for Part I by outlining four different perspectives on the process of modernisation and innovation, and specifically, how they can take place in the rural territories of OECD countries. In each paper, the authors explore the opportunities and impediments to these twin processes and how government policy can help or hinder them.